Random interest | Church of Fabiversity! Who looks like a member of a Gay Parade but hits on you a houndred times harder? That’s right, it has to be a MMA fighter! Essential Facts about the People represented in this blog (formerly known as Who?) -MMA fighters are people who engange in ultra violent (but in a good way) and highly technical so called Mixed Martial Arts. MMA is a combination of different types of martial arts and thus it is much more diverese than simple boxing. The disciplines within this sport are grappling (that is ground fighting), hitting and kicking. MMA is very open therefore people from all kinds of martial arts backgrounds enter the sport and adapt their style – though over the years wrestlers and Brazilian ju jitsu fighters have proven most successful. What? -The Octagon Buzz (named after the octagonal shape of the cage the fights are held in) gives detailed reports on MMAs biggest league the UFC (Ultimate Fighting Championship) but does not neglect other leagues such as XTC or the Fury FC. 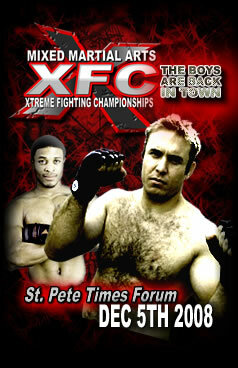 There is a lot a lot of background info on fighters and events as well as videos and photos. In addition to that, the authors of the blog have a close look at all the big and small fights and tell you what they liked or dislike and which MMA fighter has the best technique! Why should I have a look at it? -MMA has been growing vigorously over the past few years in terms of Pay-Per-View subscriptions while other sports, namely boxing… actually only boxing, have kept on losing ground. Let’s face it, MMA is the new hot thing around. No other sport has more fresh talents coming in rattling cages of the established athletes, no other sport combines blunt force trauma with incredible technique so well and no other sport provides the viewer with so much drama in and outside the ring. That is of course only if you exclude Wrestling from your list of real sports. My personal upshot! -A series of very bad word plays: This site hits the fan! You will be completely hooked on. Wow this blog total swings! It beats the living daylights out of other sport blogs! Those guys really kick it off! Alright I will end this now, oK … ohhh! Animal of the Week: The blob! featured on this Church of Fabiversitys “Animal of the Week” section we have an highly underrated but peculiar creature that has found a permanent place in my heart, I am speaking of course about the blob. Blobs come in different colors and forms and each one of them is beautiful in its own way. Next week on “Animal of the week”: King Kong – more monkey for your money! 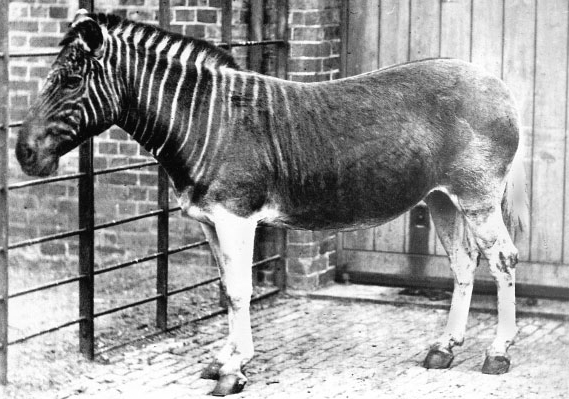 Animal of the week: The Quagga! this weeks featured animal on Church of Fabiversity’s “Animal of the Week” Section is the proud Quagga. As you can clearly see from the picture down below, Quaggas sport the prominent characteristics of both Zebras (the front section till foreleg) and Horses (middle section till rear end). That is why they are also called “Zorses”. But only by me and even though I’d like to think differently, I do not have any authority in the scientific community (at least not the one that deals with Quaggas). Now imagine yourself on one of these things while going on a weekend foray with your family. Wouldn’t that be great? Freaking A! But they are all dead. Wow, now thats sad! Next week on “Animal of the Week”: Godzilla – Myth or fiction?